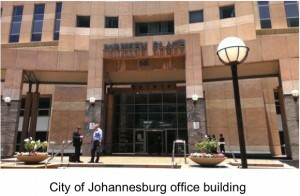 Pooled financing an option for South African cities? I have completed my IFC assignment to do a pre-feasibility study about the possibilities to introduce pooled financing mechanisms (PFM) in South Africa. My conclusion is that many of the prerequisites for PFM are present. 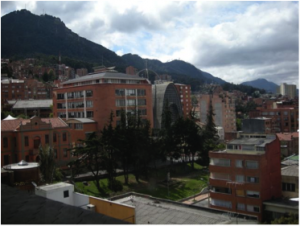 It could be a way forward to further expand the cities’ financing activities on the capital market and add increased flexibility and diversification in the funding operations for creditworthy municipalities such as metros and some secondary cities. For other municipalities to become a part of PFM intense efforts must be made to increase their creditworthiness and management capacity. 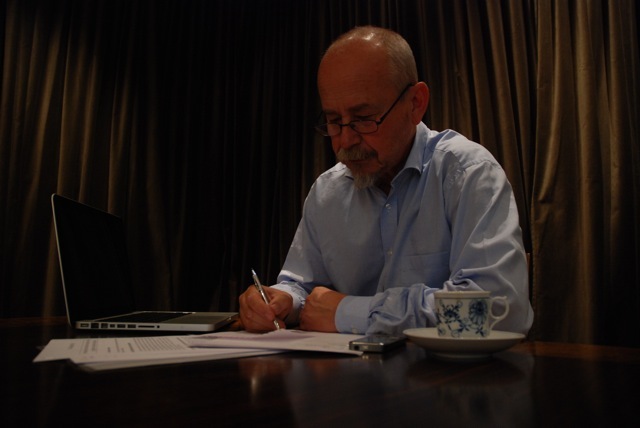 Kommentarer inaktiverade för Pooled financing an option for South African cities? European investment has decrease significantly since the years of the financial crises. This much is evident in the EU Commission’s “An Investment Plan for Europe”, published in November last year. It is, they argue, now crucial that get investments back on track and reverse a, post 2007, a 15 percent downturn of investments. The aim has to be economic recovery, job creation, long-term growth and competitiveness. One could not agree more. IMF’s World Economic Outlook (Oct. 2014) is in line the reasoning of the EU Commission. The authors of the outlook argue that there is a huge need for public investments, and that now is the time for action. Disconcertingly, public investments have fallen over the past three decades. But the problem reaches further than low investment levels in new infrastructure, the quality of existing public asset are deteriorating. Europe, and other parts of the world need to ramp up both new investments and maintain old ones. Something needs to be done, but who shall do it? The EU Commission’s Investment Plan for Europe has no mention of the role of local authorities, beyond one or two fleeting references to regional authorities having a role to play. It is as though cities and municipalities have been erased from the world of investments. This despite the fact that they totally determine the level of public investments in Europe. In a recent study of the OECD local government are responsible for close to 70% of all public investments. This omission would have been more understandable if the situation for investments on the local level were back on track. But this is not the case. In many European countries, local authorities are reliant on commercial banks for the financing of local infrastructure investments. With the up-coming Basel III rules this market is changing. Banks will be required to strengthen their capital base and, in order to keep their profitability, they will need to focus on higher yielding asset than municipal loans on their books. We have already seen that banks have significantly raised margins and shortened maturities on loans to local authorities. This does not stimulate local long-term investments. But now these local government agencies that have served its members so well are subject to deliberations if they should be subject to high capital claims within the Basel III rules. The major part of these agencies has guarantees signed by their members in place. Still, the regulators are looking for these agencies to have a 3% so-called leverage ratio, which would force many to substantially increase their capital. One wonders why, since the both guarantees and stable end borrowers ensures sustainable business models. If the proposed level of capital is finally established, it will means overcapitalised agencies that need to invest the increased capital in financial assets, which at times have proven risky. It would also tie up more public capital that otherwise could be used for investments in local infrastructure. A real push for infrastructure investments should focus on the role of local authorities and their role to build growth from the foundation. It should also support the local government funding agencies and provide them with long-term beneficial working conditions. In the Commission’s Investment plan for Europe it is stated it is “necessary to improve the regulatory environment for investment”. Why don’t they start with the local government funding agencies? The French local government funding agency, Agence France Locale, has successfully launched its first bond issue. The transaction of €750m was quickly oversubscribed; firm interest of over € 1.3bn was shown within the first hours after the launch. The bonds have a maturity of 7 years with a spread of OAT+22bp. The proceeds of this transaction will be on-lent to French local authorities for the financing of local infrastructure investments. The new year began with a flurry of activities and stimulating meetings around the world. In mid January I was invited to Kommunalbanken in Oslo to inform the board on recent international developments in the field of local government pooled financing. Kommunalbanken published an interview (in Norwegian) with me in their magazine that can be read here. I have also been back to Johannesburg to speak at the workshop Innovating in Financing for South African Cities, arranged by the City of Johannesburg and FMDV. My intervention was, of course, about pooled financing mechanisms. I had many warm encounters and great chances to further investigate the possibilities for financial cooperation between municipalities. Discussions around the general theme of pooled financing and South Africa continued when I was invited for meetings with the World Bank and the IFC (International Finance Corporation) in Washington. I also did a lunch presentation to an audience from different parts of the World Bank Group. 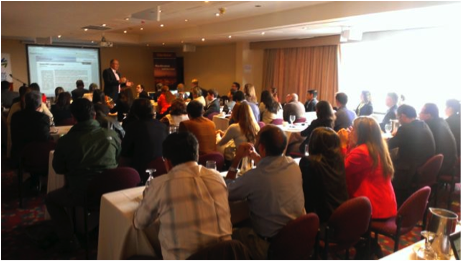 Furthermore, I participated as one of the speakers in the World Bank organized creditworthiness academy in Bogotá, Colombia, now in the beginning of February. Pooled Financing Mechanisms, different ways of cooperation between local authorities with the aim of achieving cost-efficient financing for local infrastructure projects. Local Government Funding Agency, a type of pooled financing vehicle that is common in Europe, but also used in New Zealand. Typically, majority-owned by local authorities. A pooled financing vehicle used predominantly in the USA. Typically, owned by the state. A one-off bond issue in which a number of local authorities participate. Each local authority is responsible for their part of the bond issue. Special Purpose Vehicle, an entity created for a special reason, for example for pooled financing. A guarantee where the guarantors are both severally and jointly liable for any claims under the guarantee (all for one, one for all). Used by, for example, Kommunekredit (Denmark) and Kommuninvest (Sweden). Systems to assess the creditworthiness of local authorities that are used by LGFAs to supervise the financial development of the local authorities that the agency serve. In a paper now published by Fonds mondial pour le développement des villes (FMDV) entitled “What the world needs now… is local infrastructure investments – Challenges and solutions with a focus on finance” I outline how economic growth can be supported after the financial crisis. Faced with immense challenges such as rapid urbanisation and climate change, local authorities worldwide must be given the tools to support investments in local infrastructure. These investments need to be properly financed. Raised taxes and central government transfers are not enough and raising finance directly from banks and the international capital market can become a costly affair for many local authorities. This is the reason why it is necessary to look closer at the option of Pooled Financing Mechanisms (PFM) in which local authorities come together to jointly, and with solidarity, raise funding in a cost-effective way from the markets. These PFMs or Local Government Funding Agencies also help foster professionalism and transparency within local authorities, as well as contributing to increased local democracy. Read the full paper here. I have been commissioned to do a pre-feasibility study for the IFC, concerning the possibilities to develop pooled financing mechanisms for cities in South Africa. This week I am in South Africa meeting central government entities, the City of Johannesburg, financial institutions and South African local government organisations. In Australia, the Municipal Association of Victoria (MAV) has taken the initiative to create a funding vehicle for the local authorities within the state of Victoria. The new entity has been given the name Local Government Funding Vehicle (LGFV). The Board of LGFV will consist of independents, council representatives and MAV representatives. Day to day activities is outsourced to subsidiaries of National Bank of Australia. Moody’s has assigned a Aa2 rating to LGFV. This rating has been given although the participating councils are not liable to one another, but will instead severally guarantee their debt obligations. According to Moody’s “The very high credit quality of the participating councils and the mature and supportive institutional framework under which they operate support the ratings”. It continues: “In addition, councils in the State of Victoria enjoy significant revenue flexibility with full discretion on the setting of property taxes, fees and charges, which together account for almost 70% of their total revenues”. The rating is also underpinned by the fact that there has been no historical default by a Victorian Council. 30 councils in Victoria, out of 79, will participate in the inaugural bond issuance. In order to keep the rating for later bond issues, LGFV will apply a council eligibility criteria, “i.e. a new council must not have a negative impact on the rating of new or existing bonds”. According to an article in the Australian Kanganews, “the potential attraction for councils is clear. Reports released by a number of councils refer to analysis conducted by Ernst & Young suggesting the LGFV will improve councils’ cost of funds by around 100 basis points.” Kanganews also writes that “a number of other states are exploring ways for local authorities to move at least some of their debt funding out of the bank sector”. 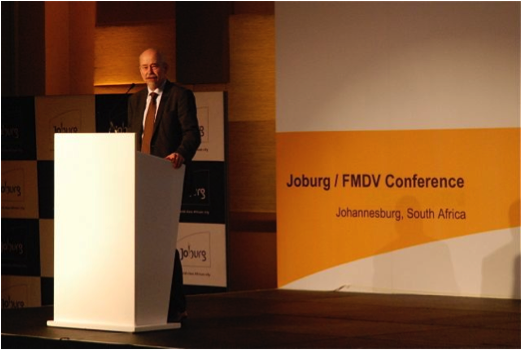 The new Board of Directors of FMDV, elected in Hyderabad on the 7th of October, is now presented on FMDV’s website.